Actor Hrithik Roshan earlier today revealed about his father Rakesh Roshan, battling early stage squamous cell carcinoma of the throat. 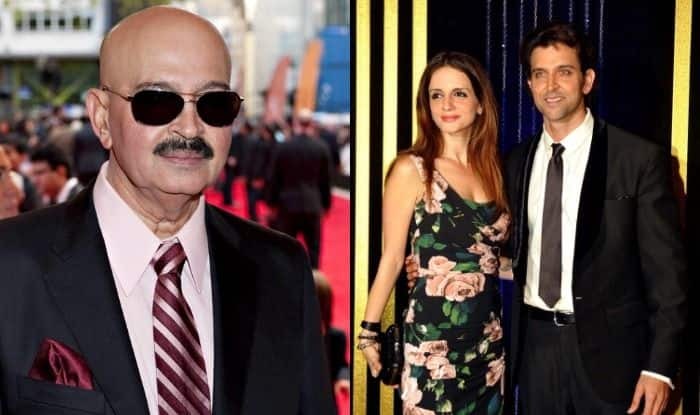 Now, Hrithik’s ex-wife Sussanne Khan left a heartfelt note for Rakesh and said that he is stronger than a superhero. Hrithik shared a picture with his father before hitting the gym where the father-son duo can be seen giving a macho pose. Along with the picture, he revealed about his father’s ill health and his battle with cancer. After a while, Hrithik’s ex-wife Sussanne showered her love for Rakesh and wrote, “He is stronger than any superhero, all will go smoothly”. 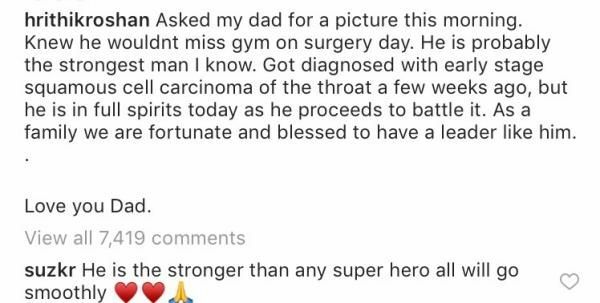 Earlier today, the Jodha Akbar actor took to his Instagram handle to share a picture with his father and reveal about Rakesh’s ill health. He captioned it, “Asked my dad for a picture this morning. Knew he wouldn’t miss gym on surgery day. He is probably the strongest man I know. Got diagnosed with early-stage squamous cell carcinoma of the throat a few weeks ago, but he is in full spirits today as he proceeds to battle it. As a family we are fortunate and blessed to have a leader like him.” And as soon as the Krrish actor broke this news, fans and B-town celebs wished a speedy recovery to Rakesh Roshan. Rakesh was reportedly occupied with the work from his upcoming film Krrish 4. He collaborated with Hrithik for films like Kaho Na… Pyar Hai, Krrish 3, Koi… Mil Gaya. All these films did wonders at the box office.